I left work in Jackson a smidge before 5 in an attempt to make it to Old Faithful by 7. This evening there is an instameet. 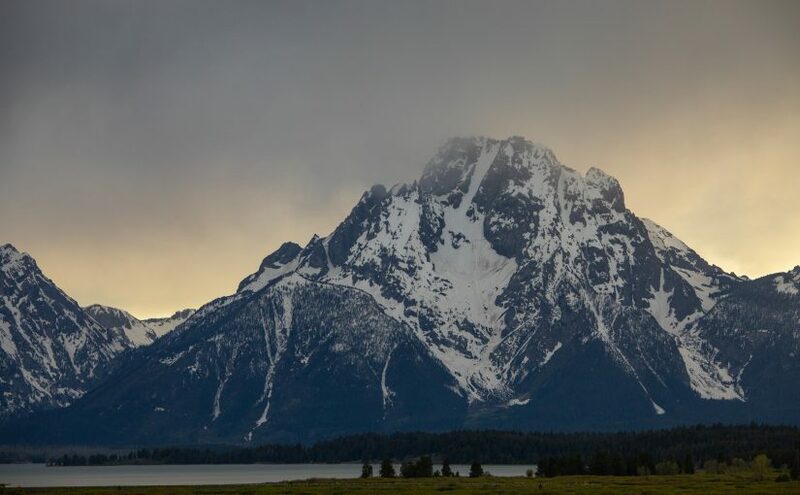 If you are ever in the area during one of these, it’s a great chance to meetup with park rangers and other photo enthusiasts. We met at the Yellowstone Art & Photography Center and then headed down the boardwalks. We decided that the eruption window of Grand Geyser could possibility time with a nice sunset. 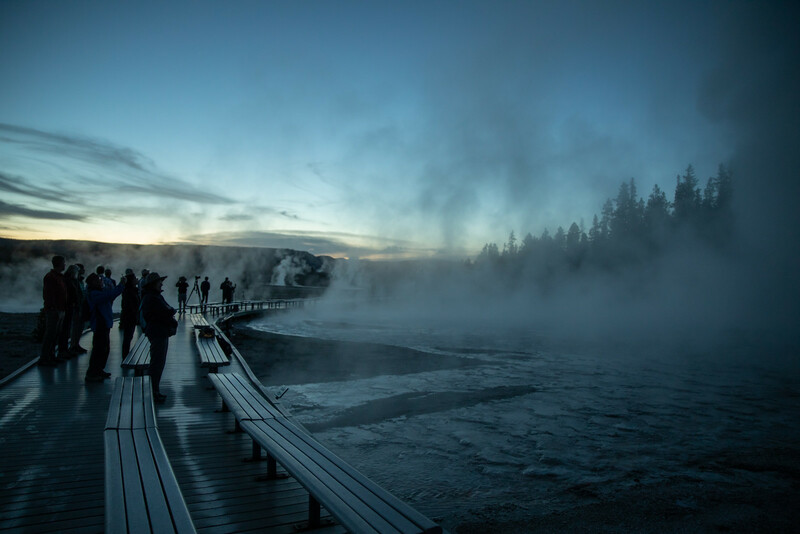 Grand Geyser is larger than Old Faithful, and the observation area is about twice as close. The downside is that the eruption window is 2 hours. So we wait…and wait. The sun disappears and still no eruption. I was sort of watching the clock because I had to haul over to Bridge Bay for the night, but I decided to wait anyway. It’s nice conversion with other photographers and there is always plenty to talk about. The eruption happened at dusk when it has cooled off quite a bit. 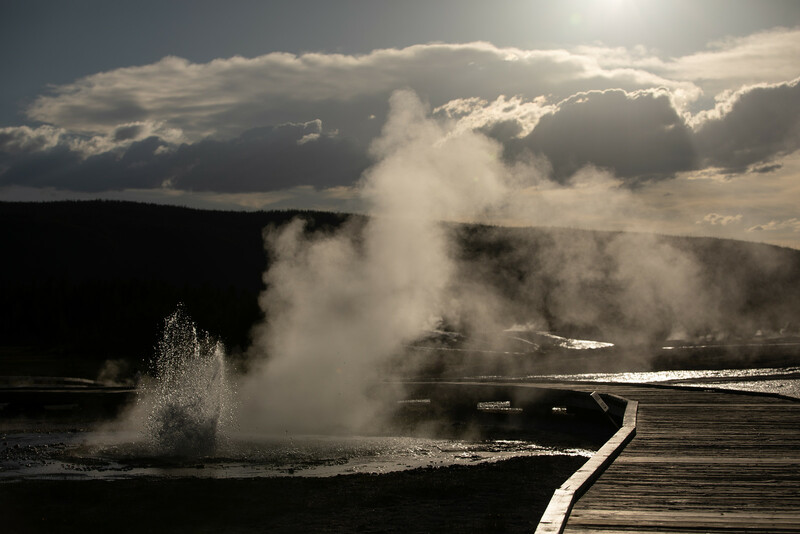 It was the best geyser eruption I’ve seen yet, and the time of day made it such a unique experience. The quantity of water runoff flowed under us and created this 360 degree steam transition in the landscape. We started to head out after the eruption. Fast-forward to the drive to Bridge Bay and setting up camp, I was in bed by midnight. I got up at 6:30, which is pretty late by my standard, but given the late night, it was justified. Activity at Hayden Valley that morning was a bit low. There was word of some passing wolves, but that was about it. I decided to continue on to Canyon for breakfast and then kept on pushing north. There were bear jams at Tower, but I was itching for a hike, so I pressed on to Hellroaring Creak Trailhead. This is a favorite springtime hike. It’s usually pretty green this time of year and dry. 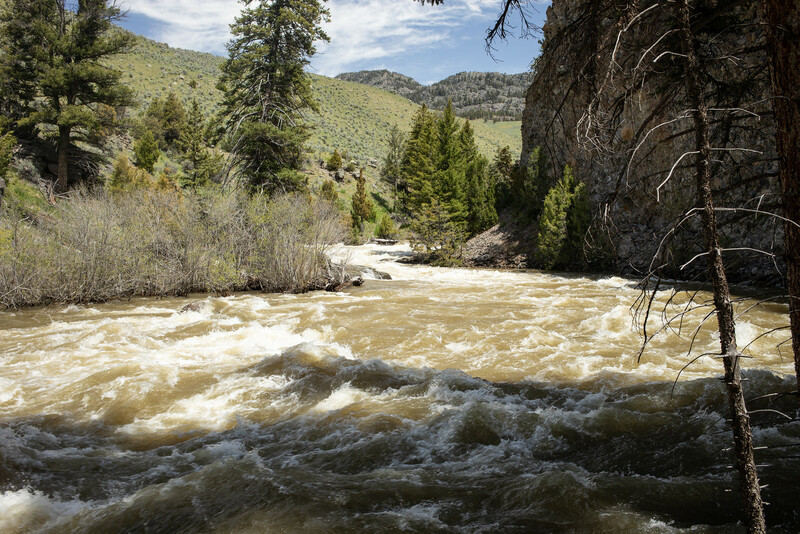 I’ll take the trail to the confluence of Hellroaring Creak and Yellowstone River. The 150-600 lens will be in my pack for any interesting wildlife. 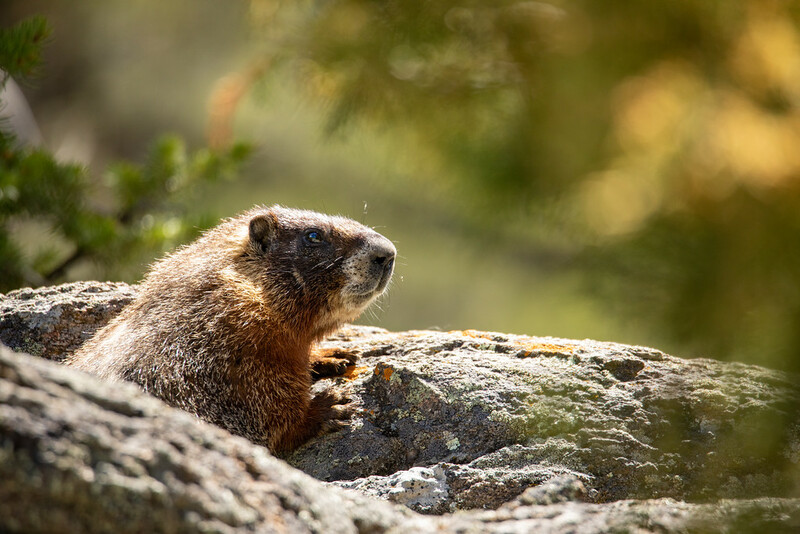 This time it was just a marmot. At the confluence, levels were predictably high. The hike back was uneventful. Then it was time to work my way back home. 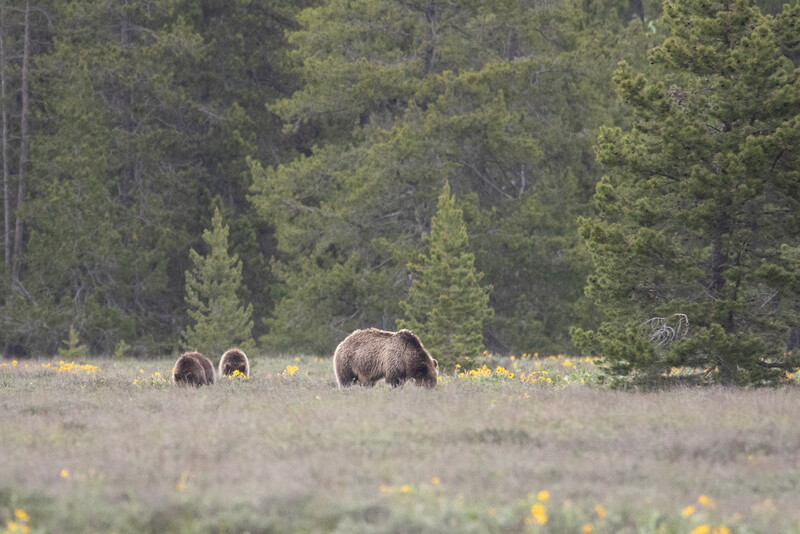 Many times I will wait out bear jams and try to find grizzlies that were known to be out near Lake Butte Overlook, but I had to make it home by tonight. 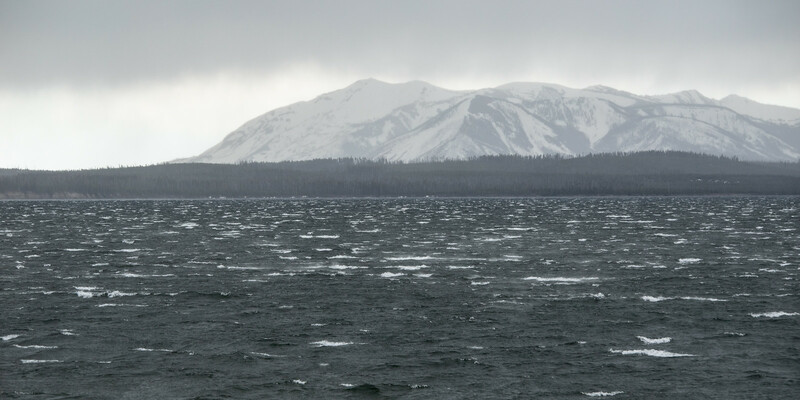 So it’s time to blow past the bear jams and make a break for it…maybe stopping to capture a storm rolling across Yellowstone Lake. 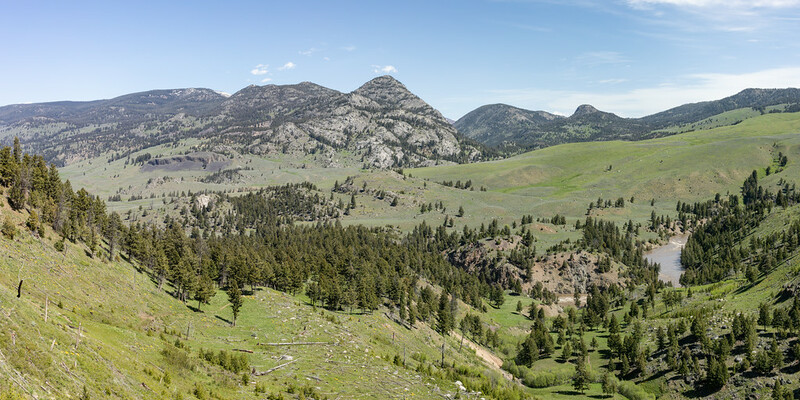 After crossing into GTNP, the usual bear jams will ongoing near Pacific Creek. I assumed it was 399, but after looking at the photos, I realize that this one doesn’t have a collar. 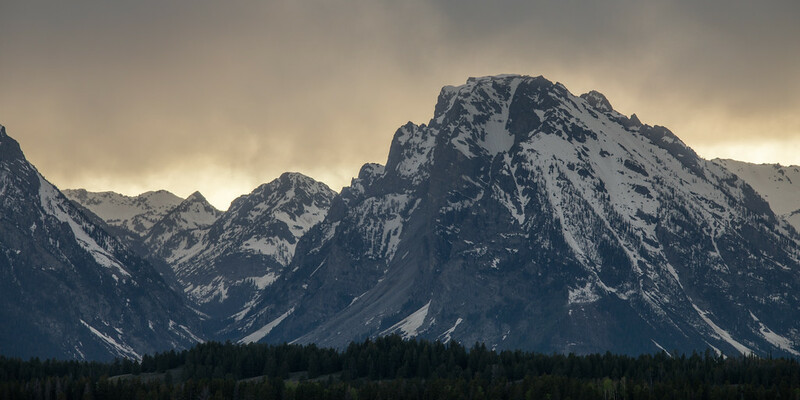 Now almost home, the sun is setting, and the variable weather is making for some nice color behind Mt Moran.